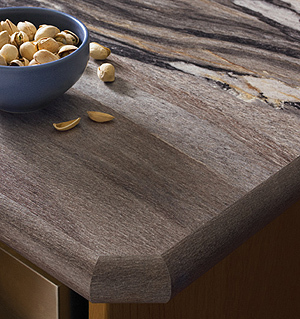 Granite countertops are beautiful slabs that resist heat, scratches and stains. Helps repel mold and mildew. Choose from a wide variety of colors and grains. Your most economical countertop surface is low-maintenance laminate; it's easy to clean and resists stains, abrasions & moisture and more. Whichever your choice, we can help you find the right countertop for your needs, and install it worry-free.